As you continue to enjoy your retirement and the adventures it presents, you have questions. Some of the questions deal with your health. The reason for this is that the state of your health will influence what you do in retirement. Among your questions should be this one. “Why do retirees need vitamin B12?” This is what we address in this blog. Do you get enough vitamin B12? It is evident by the question that vitamin B12 is necessary for a healthy lifestyle. 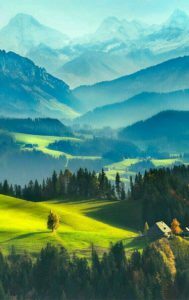 In fact, life, as we know it in human beings is impossible without it. It is a necessary ingredient for the building and maintaining of our DNA. DNA is the molecule that contains all the information necessary for life. Without it, there is no life. In addition, B12 is necessary for the building of blood cells which carry the nutrients to all the parts of our body. Low levels of B12 can cause a lot of physical and mental problems. Since vitamin B12 is not something that our bodies can make itself we must get it from the food and supplements that we eat. Vitamin B12 is also water-soluble and therefore cannot be stored by our body. It must continually be resupplied if we are to stay healthy. Why do retirees need vitamin B12 and how much? Several factors must be considered in answering this question. These are your age, your diet, medical conditions and medications you take. Here is a general list of amounts. Vitamin B12 is found in animal foods, which have it naturally, or from items that have been fortified with it. Animal sources include dairy products, eggs, fish, meat, and poultry. If you’re looking for a food fortified with B12, check the product’s Nutrition Facts label. The only sure way to know if you are deficient in B12 is to have a blood test. If you lack energy and are not as mentally alert as you used to be, you may wish to ask your doctor to check for B12 deficiency. As mentioned above, we cannot store B12 so there is a possibility for one reason or another that we may develop the deficiency. Some things that may bring about deficiency in B12 are aging, weight loss surgery, drinking too much alcohol, or taking acid-reducing medications over a long period of time. There are some extreme conditions that can cause a deficiency of B12. These include astritis, pernicious anemia, Crohn’s disease, celiac disease, or parasitic growth in the intestines. Some immune system disorders such as Graves’ disease or lupus may also cause deficiency of B12. Alsheimer’s is one thing that many retirees and senior citizens are continually aware of. There is some good news, though. 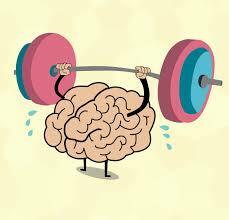 Several studies have found that maintaining good levels of B12 lowers the risk of Alzheimer’s disease developing. An amino acid called homocysteine may be involved in the development of Alsheimer’s. High levels of B12 have already been shown to help reduce levels of homocysteine. Homocysteine has been linked to an increased risk of Alsheimer’s disease as well as memory loss and stroke. Vitamin B12 is known most for its energy level increase, but there is another area it helps. The area is that of memory. 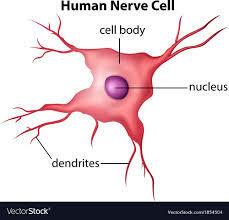 It does this by providing protection for nerve cells. This improves your ability to think clearly. These are some of the symptoms. If you have any of the symptoms mentioned above you may have to begin your treatment by taking B12 shots. you will most likely have to continue taking shots, if you have pernicious anemia, to keep your B12 levels where they should be. 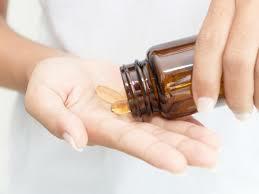 If you are an older adult you should take a B12 supplement or a multivitamin that contains B12. Treatment for B12 deficiency will not repair any nerve damage that may have been done. (This is a good reason to make sure you are taking in enough B12, now). The best thing you can do for yourself is to make sure that you have a good level of B12 in your system. Do take a good multivitamin that contains B12? keep doing so. If not, ask your doctor or pharmacist what they recommend. If you think that you are not functioning at an energy level you would like, consider taking B12. You may take it in a pill or liquid form. There are many good products that can help you raise your energy level by taking B12. Most people can prevent vitamin B12 deficiency by eating enough meat, poultry, seafood, dairy products, and eggs. 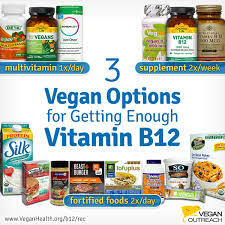 If you don’t eat animal products, or you have a medical condition that limits how well your body absorbs nutrients, you can take vitamin B12 in a multivitamin or other supplement and foods fortified with vitamin B12. If you choose to take vitamin B12 supplements, let your doctor know, so he or she can make sure they won’t affect any medicines you’re taking. Now that you can see why retirees need vitamin B12, wouldn’t it be wise to take some? Whether you choose to take the multivitamin or singular B12 vitamin, you can not go wrong. Remember that vitamin B12 is a water-soluble vitamin and you cannot take too much. Your body will simply flush out the part it does not use. If you missed our first blog on vitamin B12 and why we need it, check it out here. Here is to your good health as you continue your adventure as a retiree. More articles related to retirees can be found Here and Here.